Full disclosure: I’m a bit of a podcast junkie. 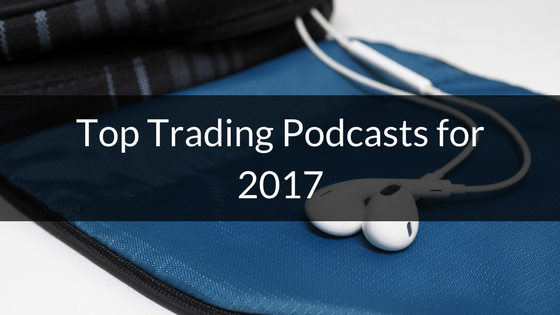 Here’s a curated list of the top trading podcasts of 2017 (at least for me). I listen to a lot of different podcasts whether they are related to investing or not. I’ve learned so much and been inspired by them over the past few years and I highly recommend listening to them, especially if you have a long commute. Now if you’re on the Trading Tap website, you know I have my own podcast. Which I know at the time of writing this is, at best, lacking. I do plan to change that in the near future, so if you have any recommendations for what you would like to hear, please leave them in the comments below or feel free to shoot me an email. Looking to start interviewing people in the trading community would love to hear your thoughts. This is probably the podcast that I listen to the most. 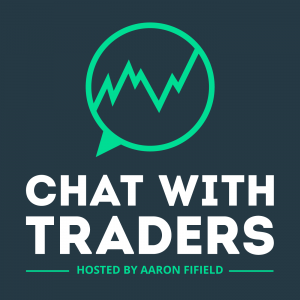 I’ve been listening to Chat With Traders since Aaron Fifield started the podcast and I love how he still keeps an awesome set of guests lined up and every week it still seems to get better. 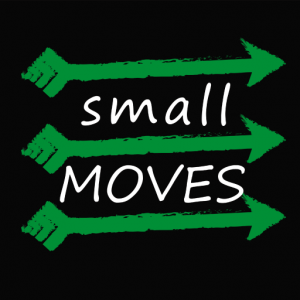 This podcast leans more towards active traders, but there are some things in there about swing trading. Either way, it is a must-have for any aspiring trader. I highly recommend this podcast. This podcast is from the people over at Motley Fool. I’ve been listening to this podcast since 2013. This podcast is a daily release that is about 15-20 minutes long. They cover recent happenings for the day and how they could affect investors for a longer term outlook. This podcast is definitely directed towards longer-term traders. Which is probably why I like it so much. This the weekly version of their Market Foolery podcast. It is a bit longer, usually ranging between 45-60 minutes. They cover current events in more detail plus usually throw in an interview and get everyone’s personal insights on the current market. Again, this is probably for longer-term traders and short-term investors. Again, that’s probably why I like it so much. This is a podcast I’ve just started listening to recently, but I have to mention it because Andrew has some awesome guests on there. Adam Grimes is a great one that comes to mind and he’s also someone I follow. It’s a podcast focusing a lot on automated trading, which I know can be scary to the beginner trader, but could be very useful to someone who does more than trade the markets for a living. 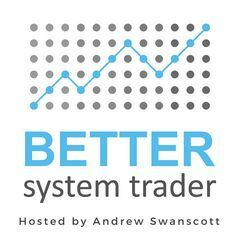 It’s certain not covering topics for beginners but if you are interested in learning things related to creating an automated trading system, I’d give this one a listen. This particular podcast isn’t related to trading, but the theme of it can relate back to beginner traders. The idea of the podcast is making small moves for an overall bigger success. The host, Jason Herzberger, is also the guest that I had on the most recent episode (as of writing this) of the Trading Tap Podcast. I also want to give this podcast a mention because I was just interviewed by Jason for an episode so be on the lookout for me on there! That’s all I have for my top trading podcasts of 2017. I know there are more out there, so let me know what you like to listen to in the comments below.